One of the requirements of the UK Amateur licence is the need to measure spurious emissions from the station. I thought it was about time I picked something up to carry out this chore. One of the ops on uk.radio.amateur uses the PCR-1000 along with a software packaged called TalkPCR to analyse the output, the advantage is that the PCR-1000 is a general purpose scanner which can be automated from the PC so it has many other uses. This seemed like the most attractive option, as I was after buying a scanner anyway. Ok, so what is it? 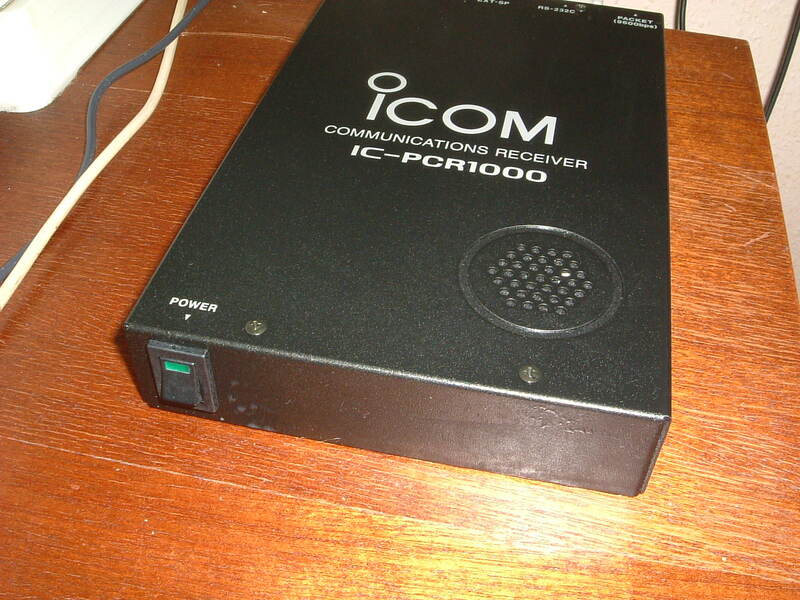 The PCR-1000 is a communications receiver with several IF bandwidths (230kHz down to 2.8kHz), and all-mode coverage from 10kHz to 1300MHz. There are no controls other than the on/off switch, everything is done from the PC! A serial cable connects the PCR to the computer, and an audio out is available too - handy for timed recordings or satellite reception. TalkPCR has a lot more features than the supplied software, in my view easier to use too. You can download TalkPCR from here. Click here for more details on using the PCR-1000 as a spectrum analyser.